Spiritual Herbs: The Magical Plants? When you read the title “Spiritual Herbs”, I am sure the very first impression that comes to your mind are some sort of magical plants which make you fly like Harry Potter or something, but you might be bit surprised to know that many rather most of these are plants that we use on a regular basis. Some of the herbs that we are going to discuss now have the spiritual capacity. This article on spiritual herbs will perhaps change the way you look at herbs forever. We have tried to discuss those spiritual herbs that can be found easily. Herbs normally refer to simple plants that have seeds, leaves, and flowers. 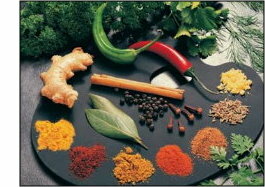 Most of them are used to flavor food; they are also used as medicines and perfumes. Apart from all these use the herbs can be used for mental and spiritual healing as well. It is interesting to know how these simple herbs can make such a difference to your lives. We cannot discuss all the spiritual herbs in one article. However, we have tried to mention a few. Almond is a herb that leads to wisdom and prosperity. Aloe is another very common spiritual herb it leads to spiritual growth, success, protection, and love. This herb also has the ability to protect people from evil. Apple again is good for love and can also help in immortality. Avocado is a spiritual herb that can help to maintain beauty, love and youth. These spiritual herbs can also help to create lust in a relationship. Bamboo is also a spiritual herb that can bring in good luck. This is exactly why many people keep the bamboo plant in their house. If the bamboo plant grows well it will keep bringing in luck. Another spiritual herb can you can easily find is the banana. This is good with fertility. The banana is also associated with success and passion. Bay leaves are another very common spiritual herb that has the quality to protect people. These leaves have psychic power. They can give success, money and happiness. The spiritual healers believe that leave can do magic. Blackberry is another common spiritual herb that is used to induce goodness in a person. These herbs can protect and heal. They can also lead to prosperity. Black pepper is the next in the list that we are going to discuss. They can remove negativity from any place. They remove bad vibes and can give protection to all. The blessed thistle also called the holy thistle can purify and remove negativity. It can uplift the luck of the person who is using the same. Blueberry is another common spiritual herb this can be easily found and can play a very important role in protecting the house. With blueberry, you can bless your homes and also improve your luck on legal matters. Brazil nut is a very common spiritual herb that you can locate easily. This herb can offer protection, prosperity and love to the one using it. Cabbage is a common vegetable that we use in our house. This herb too provides luck, fertility and prosperity. Cardamom is a special spiritual herb that has magical properties. This herb signifies courage, love, and passion. Carnation is a herb that you can easily locate in any kitchen garden. It gives protection from evil powers. It can also provide healing and creativity to the person using it. Carrot is a vegetable that we eat often. At spiritual level carrot can help to ensure lust and fertility. Cashew is another herb that can be located in any kitchen. This spiritual herb is used to invoke the sun god. This herb can bring in success. Cedar has the ability to protect. It can remove all negative energies. It is also used to repel snakes. Cherry bark is a very interesting spiritual herb. This herb can induce passion and romance. It also helps to get clarity on the path that we should take. Chrysanthemum is a herb that gives healing and protection. Cinnamon is a herb that we often use in cooking. I am sure you must have never thought that this simple looking herb can have such spiritual qualities. It promotes dreaming, it can lead to success in business, etc. It can also lead to purification, protection, and spiritual growth. Cloves again have the very high spiritual capacity. If you place them in your wallet it can bring in luck and money. Coriander is a herb that can create love, passion, and healing. It can attract love. Cucumber also encourages fertility. The herbs that we have mentioned for fertility can be used by men and women who want to conceive. This will help them to conceive faster. Cumin seeds are spiritual herbs that have the ability to protect the house you live in. They are also used in exorcism. They can heal the house of negative energy. Daffodil can bring in luck. Daisy is a flower that is also used as a herb. This can wake up the fairies. Eucalyptus has very strong spiritual qualities. You can put few drops of it in the water before you take the shower. This can also heal and protect the people. Garlic is a very common herb. It can protect and help to prosper. It also has good healing capacity. Jasmine is a very common spiritual herb. It can help to dream. It improves love life. Lavender again has the ability to purify and cleanse. It can also bless the house. It has the ability to protect. It can calm you and get you better sleep. If you light a lavender candle in your room before you sleep you will be able to sleep better. Lemon grass can lead to mental clarity. It repels snakes and can also lead to psychic powers. Lilly is a spiritual herb that can help to remove a love spell. Mint is a common herb that can be found in any house. It helps in spiritual growth and prosperity. It can also help in exorcism. Onion is a commonly used herb in cooking. Well, you might be surprised to know that it too has the spiritual capacity. It can help in protection and in purification. Orange helps to attain peace, calm, love and luck. Orchid has the capacity to calm down people. It can also help to reduce anger to a great extent. Oregano is a magical herb that can help to deal with issues within laws. There are much more such spiritual herbs that we will be discussing in the coming few articles. We hope you found this discussion on spiritual herbs. We hope you will be able to use these herbs now to get the best results for yourself. So what are you waiting for? I am sure all the herbs mentioned above will be easily available in your house. Start using them now and get benefited.